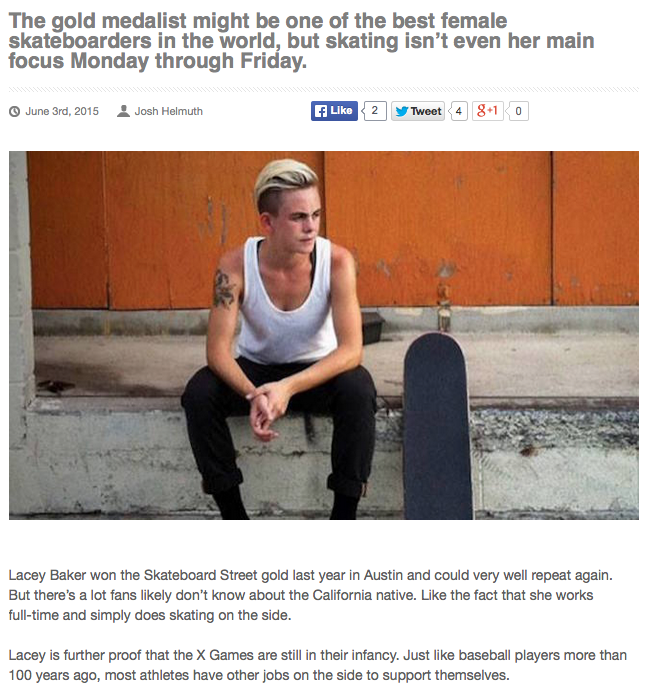 Girl is NOT a 4 Letter Word: Lacey Baker / X-Games. Great interview with pro skateboarder Lacey Baker over on CraveOnline today. Lacey discusses what it's like working full time and competing at the highest level, like this weekends X-Games. It's a great read and sheds a light on what women in our sport do to keep themselves in the game. We still have a ways to go, but girls like Lacey are out there making sure our collective voices are heard by charging hard!